We get this all the time. 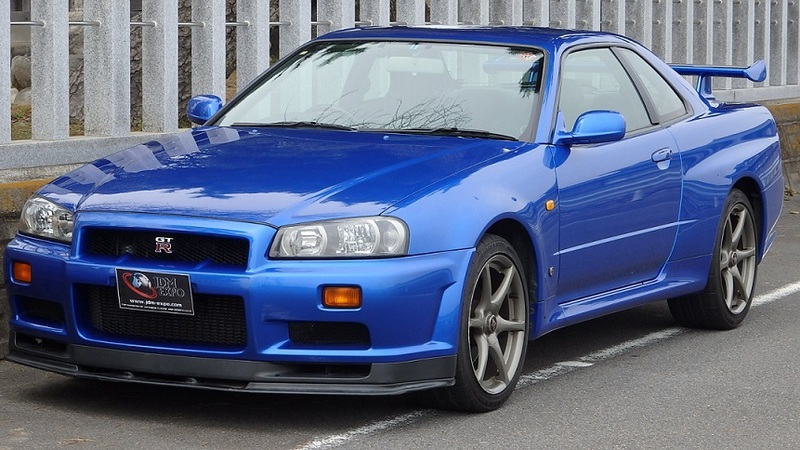 You’ve dreamed of Skylines ever since you were little and now are at a place in your life where you can actually own “Godzilla” aka a R32 Nissan Skyline GTR. But, what do you do if you don’t have the $20,000-30,000 in your bank account? You need to find a loan and get financed for the purchase. This is usually a fairly easy and common practice but when dealing with cars that are 25 or more years old and not ever sold in the US financing a Skyline can become a bit of a challenge. Good credit - Loans for Skylines is not the “anyone is approved!” financing the local auto dealers offer. It’s recommended to have a 650 or better credit score. Good income - Showing you have the means to pay back the loan is important. A certified appraisal - Most lenders will require a certified appraisal stating that the car is worth at least the amount to be financed. JDM Expo is happy to provide appraisals on its vehicles both in Japan and in the USA for a small fee. At least 15% saved - Its a good idea to have some cash saved. For one reason, a deposit can be given to hold the car while financing is being arranged. Talk to one or more of the below lenders before looking for a car. Find out if you qualify and how much of a loan you qualify for. Contact JDM Expo with your budget and the specifics of what you are looking to purchase (model, color, mileage, mods, etc). Once a car is found, place a cash deposit to hold it. Bring a bill of sale and a certified appraisal (if required). Get check for loan amount. Pay balance of car price. Drive off in your new Skyline GTR! Most banks will not finance 25 year old imported cars and it can be a challenge to know where to turn. Thanks to our many years of experience we have found some good, reliable places to look for financing for a Nissan Skyline, Toyota Supra or other JDM import. Credit unions will often provide auto loans for older vehicles like US-legal Nissan Skylines. They are the best option because they are quick, easy and offer great interest rates. If you’re a current or former military member, be sure to look into Navy FCU or USAA. Did you know we’re the number one source of Skylines for military members stationed in Japan? We deal with Navy FCU and USAA extensively and can highly recommend them. If not, you’re sure to find a federal credit union in your area that you can join. If you’re not able to get an auto loan, you may be able to get a personal loan. These have slightly higher interest rates but are also easier to get. You will probably need to use the car as collateral for the loan which requires a certified appraisal. A credit union or regular bank can give you a personal loan though credit unions tend to have better interest rates and may also allow you to convert your personal loan into an auto loan down the road. When you see other importers saying “We can help you get financed” or “Ask about our financing options”, this is what they are referring to. On the one hand, these lenders will finance literally anything from a project to a top level show car. On the other, they tend to have high interest rates, require 10-20% down and can be a headache to get. JJ Best Banc Co. is one of the biggest names in online lending though there are many others. This article by Hemmings lists a few more.